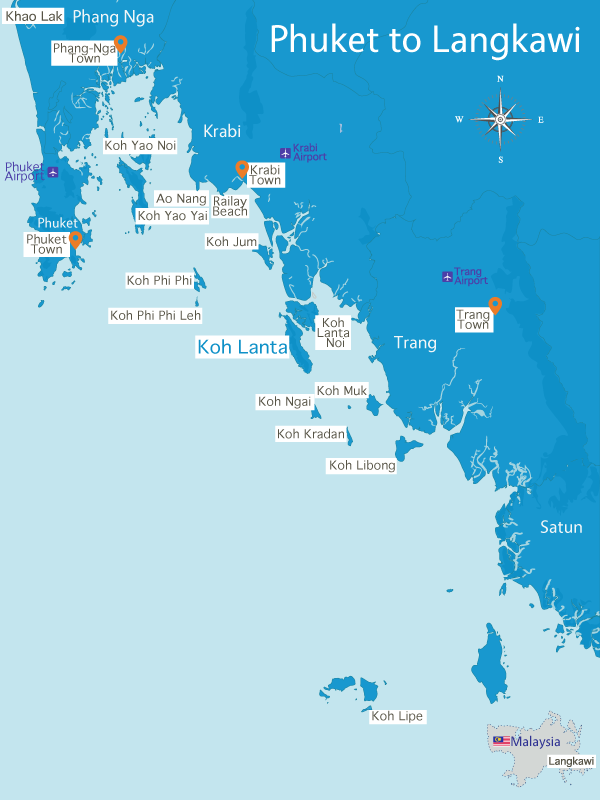 The Lanta Loft Apartment 3B is set in one of Ko Lanta’s best serviced apartments. Offering huge open plan spaces, two double bedrooms which are ensuite, large balcony terrace with sea views. 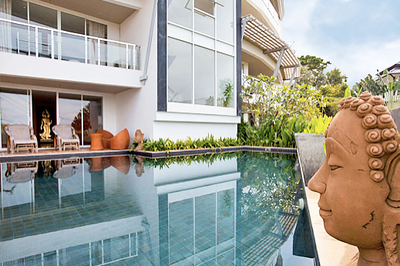 The apartment has a private sea view balcony and a shared swimming pool. When entering the apartment you will be surprised at the size of the huge open plan living area, kitchen and dinning. 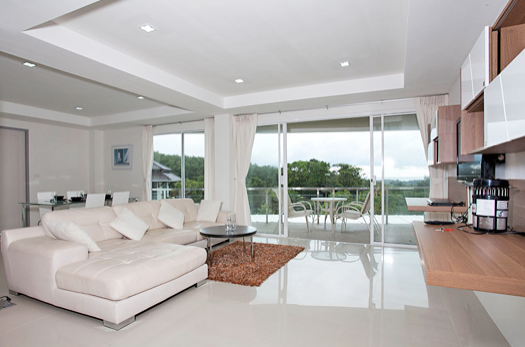 The living area and dining area are set at the front next to the balcony terrace. 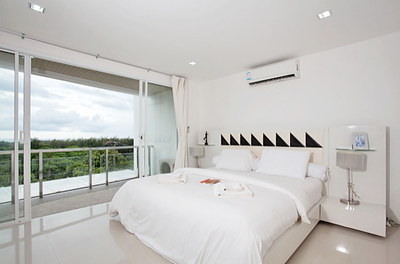 large windows and floor to ceiling sliding glass door allowing you access to your private balcony.. The living area enjoys a large sofa in front of the TV. The dining table with seating for four or there is an option to dine outside on the terrace with its own table set. 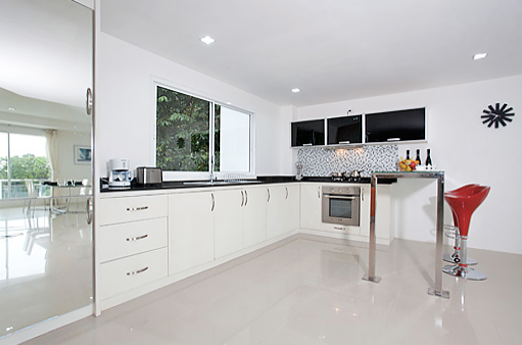 The kitchen sits at the back with fridge freezer, stove, oven, microwave, grill, kettle, blender, coffee maker, cooking pans, cutlery, table ware and large worktops for prep. At opposite sides of the living room are the double bedrooms with storage space and wardrobes. 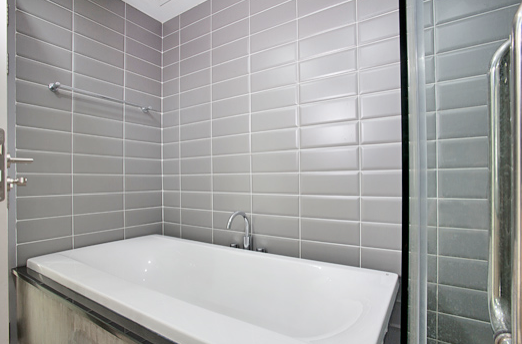 Both bedrooms offer ensuite facilities with shower cubicle and wash basin. 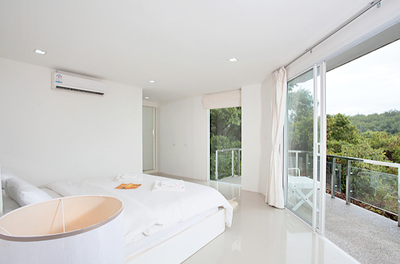 One of the bedrooms bathrooms offers double wash basin and a bathtub and also direct access on to the terrace balcony. 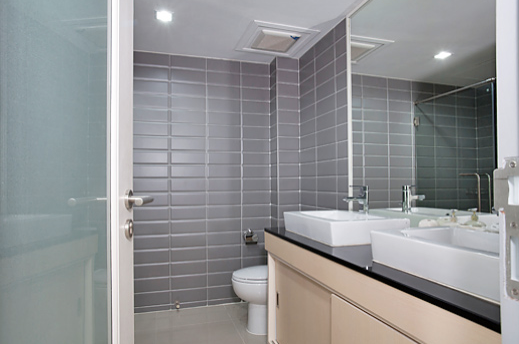 There is also one more communal bathroom near the lounge area which is juts a toilet and wash basin. Outside there is a small pool with seating areas, even in peak season you may find this area to your self. 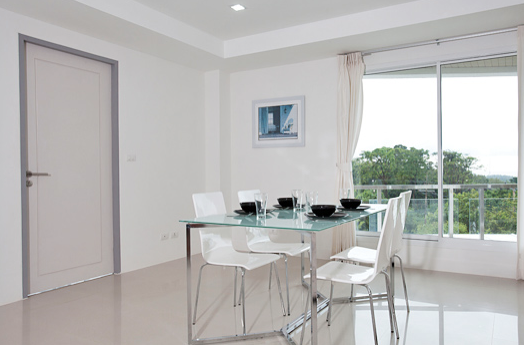 The apartment is well valued as cheaper accommodation but with luxurious fittings and surroundings. The close proximity to Long Beach shopping and eating district is also beneficial and a choice of 3 beaches within walking distance.